Here we go again with another instalment of the Stalker’s Guide. This time it's about Domyoji Tsukasa. 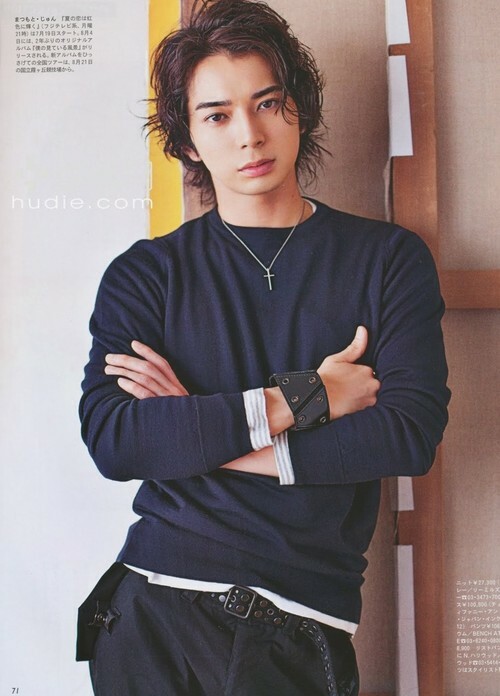 I mean Matsumoto Jun. I came back to watch his works after finishing all of Yamapi’s stuff. I had a love/hate relationship with Domyoji's character and had not fallen into the Arashi pit yet. Kimi wa Petto, Smile, Lucky Seven, and 99.9: Keiji Senmon Bengoshi are some of my absolute all-time favourite dramas by this man. All idols are quiet about their private lives, but Jun brings this to a whole new level. I read somewhere that if he was asked “What type of curtains do you have in your house?”, he’d say “normal curtains”. So I will dig through the internet as best I can and let’s see what I can find. <<I can hear you all yelling Gabatte Ne! OAL>> Yosh! Now let’s learn more about him. Hobbies: Music, cinema, theater, photography, reading, manga, collecting DVDs and glasses. He likes heights and danger like skydiving, rock-climbing, bungee jumping, and surfing. 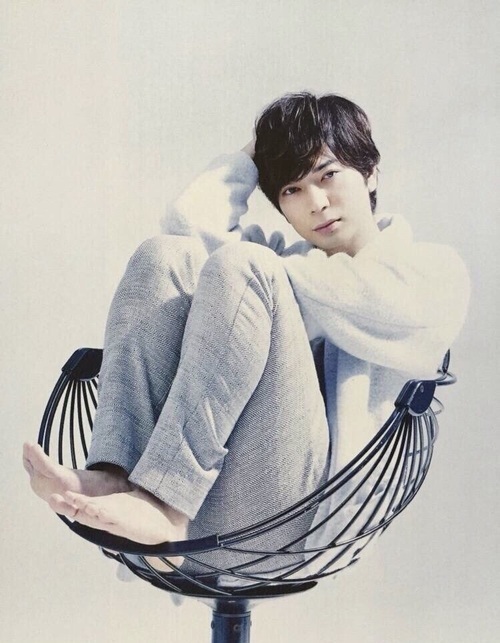 Matsumoto Jun was born into a financially thriving family and could have lived quite comfortably just taking over his family's company. His family owns a large poultry farm and sells eggs. It opened in Rakuten Ichiba and its store name is "Matsunori." From this store, they sell eggs with the tagline “MatsuJun Tamago” or 'MatsuJun Life' (written as 松潤命.) The eggs are extremely tasty and went for 500 Yen (more than 4 USD!) for just one single egg in 2015. They are supposedly available online for shipment to America and Europe. Jun has an older sister named Megumi (恵). He was named after his grandmother but using a different Kanji, 潤 instead of 純, because the balance was off and it was too hard to write. 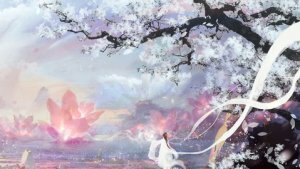 The first Kanji means genuine or pure, the second means moisture. 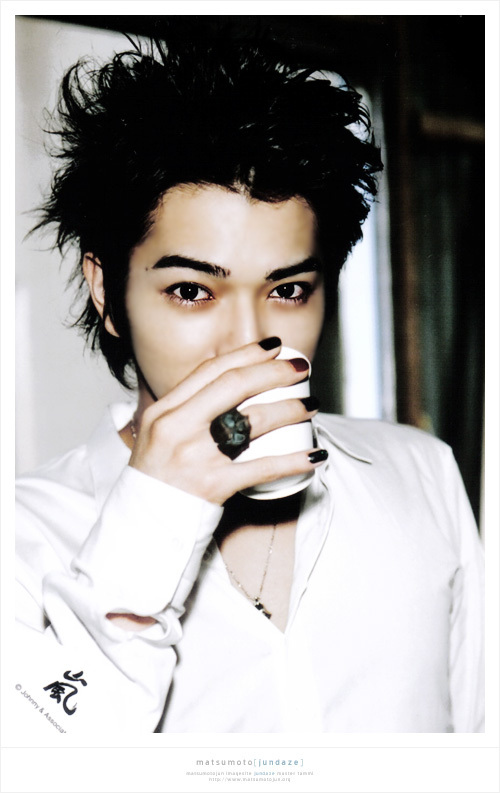 His sister was a huge fan of Kinki Kids and greatly influenced his decision to join Johnny's Entertainment. On his elementary school graduation day, he wrote a letter expressing his desire to join Johnny's Entertainment. Not too long after that, he was contacted by Johnny himself telling him he had been accepted. Jun did not need to audition and that made him one of the three elites of his batch. The other two were Nakai Masahiro (of SMAP and Utaban fame) and Higashiyama Noriyuki (of Shonentai.) Days after KAT-TUN debuted, Akanishi Jin and Jun had a little back and forth on a show Jun was hosting about how Jun was treated "delicately" compared to the other Juniors. 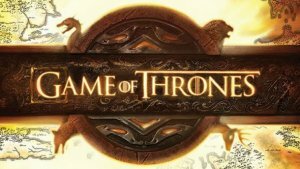 Here is a link to that exchange. 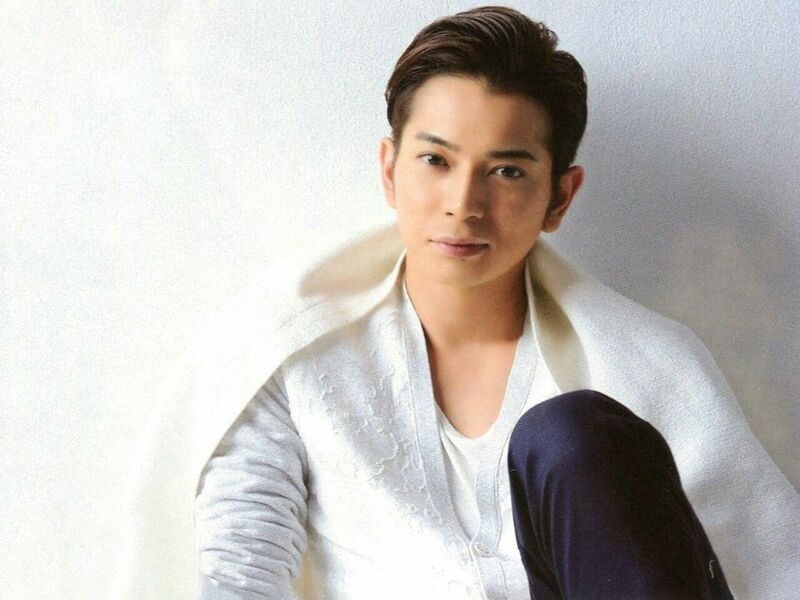 He started his career as a backup dancer with his fellow Arashi members (see music section below) and gained popularity by standing out with his charm and sense of style. 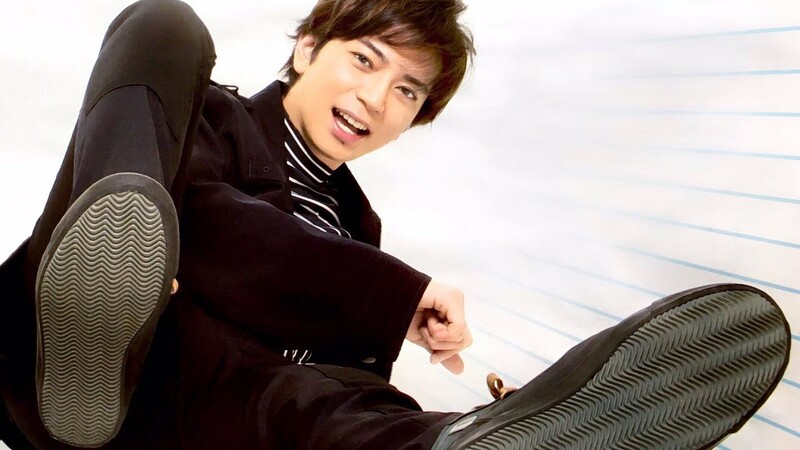 He avoided the whole Senpai-Kouhai formalities by joining an unofficial group named "No Border" in 2006 with Yamashita Tomohisa (who was then in NEWS), Shingo Murakami of Kanjani8, Satou Atsuhiro of Hiraku GENJI, Ikuta Toma, Domoto Koichi of Kinki Kids, Yamaguchi Tatsuya of TOKIO, and Takizawa Hideaki of Tackey & Tsubasa. Each member was assigned a specific colour: white, black, red, pink, purple, gold, blue, and grey. Now, some trivia about HanaDan because it's kind of cool even though the first one was over 12 years ago. Hanazawa Rui was his favourite character when he first read the manga. After getting the part of Domioji he re-read the manga and identified with the character so much he even admitted to crying. He did not like Tsukasa's curls as they didn't go with anything he owned off-set. He's the one who recommended Oguri Shun for the part of Rui. They had been best friends since the filming of Gokusen. For full acting credits, see Matsumoto Jun's MDL page here. He was the first Japanese man to appear on the cover of the Marie Claire magazine in Japan. The 33rd The Television Drama Academy Awards Supporting Actor Award: "Gokusen " The 72nd The Television Drama Academy AwardsBest Actor Award: "Lucky Seven"
The 47th The Television Drama Academy Awards Supportive Actor Award: "Hana Yori Dango " The 80th The Television Drama Academy Awards Best Actor Award: "Shitsuren Chocolatier"
The 2nd TVnavi TV Drama Annual Awards Best Supporting Actor Award: "Hana Yori Dango" 2014 Movie Plus Awards 2013Best Actor: "Hajimari no Uta"
10th Japanese drama GP (Grand Prize)Supporting Actor Award: "Hana Yori Dango 2" 2016 TV Station Drama Grand PrizeBest Actor Award: "99.9: Keiji Senmon Bengoshi"
53rd The Television Drama Academy AwardsBest Actor Award: "Bambino!" 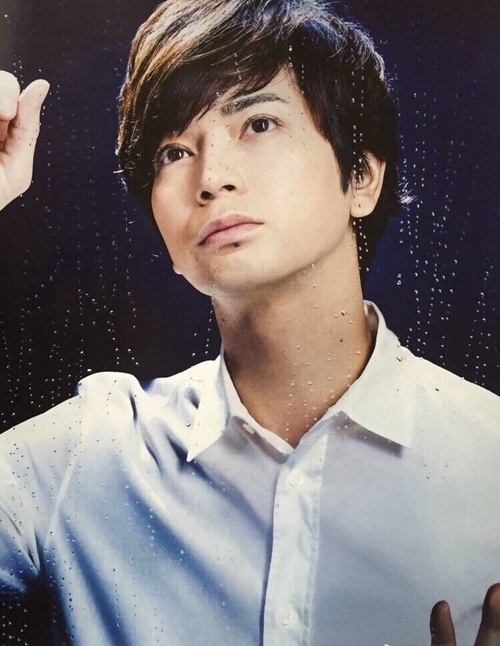 2010 14th Nikkan Sports Drama Grand PrixBest Actor: "Natsu no Koi wa Nijiiro ni Kagayaku." 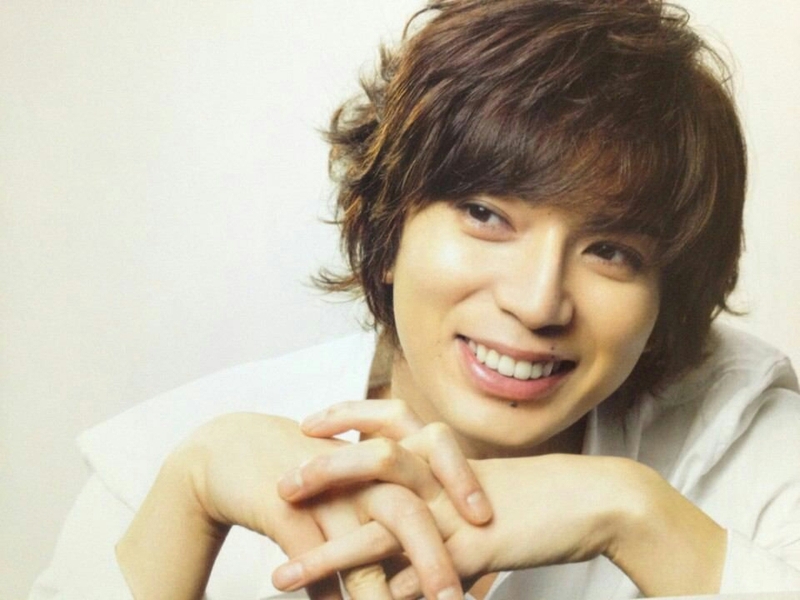 2009 13th Nikkan Sports Drama Grand PrixBest Actor: "Smile" VOCE BEAUTY AWARDS 2010 Grand PrixBest Beauty CM Grand Prize: Kose Fasio "Mascara Inner"
Before being in Arashi he was in the musical group MAIN with Ninomiya Kazunari, Ikuta Toma, and Aiba Masaki. Arashi debuted on September 15, 1999. Matsujun, Ninomiya Kazunari, Aiba Masaki, Sakurai Sho, and Ohno Satoshi have been together since then. 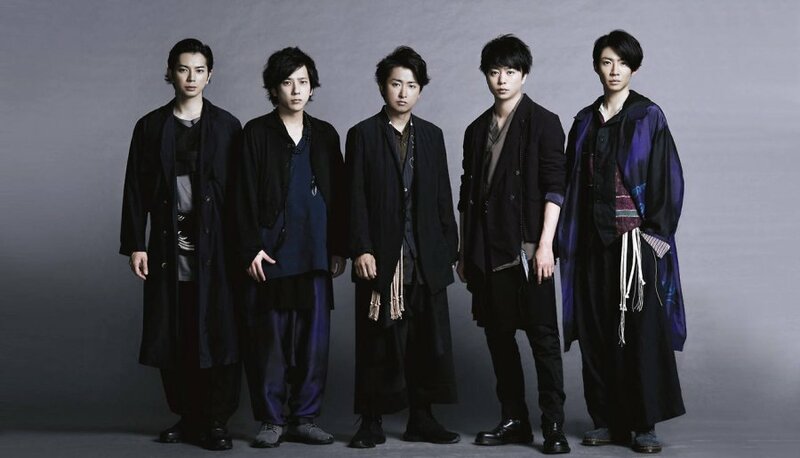 Their latest single being "Tsunagu", the theme song for Ohno's latest drama Shinobi no Kuni. "Then, there's his, erm, singing. I think it was one of Arashi's first few appearances on Utaban, where Jun, with his tongue shyly in his cheek, said he admired the host Nakai-sempai because Nakai isn't very good at singing and that's one thing they have in common. The look on Nakai's face at this backhanded (but very adorable) compliment was just priceless. Jun is well aware that his singing voice is nasal, flat and very limited in range, but he's never any time whining about it. Instead, he rolls up his sleeves and works with what he's got. He's probably been taking vocal lessons since debut, because the quality of his voice has certainly improved a lot since the early 2000's, and he likes to experiment with all the different ways the sound engineers can treat his voice to make fabulously techno tracks that just wouldn't sound as good if someone with actual vocal skills (like Ohno) sang it. " 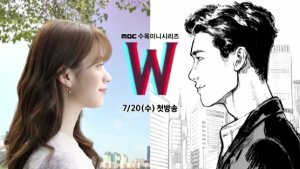 W / ME - "One"
Come back to me - "Scenery that I am seeing"
.We wanna funk, we need a funk - "Popcorn"
Dance in the dark - "LOVE"
STAY GOLD - "THE DIGITALIAN"
Baby blue - "Are You Happy? " In 2009, his band Arashi became the first to top the Japanese single, album, and music DVD charts and to be the best-selling artists of the year within the same year, with 14.46 billion yen in total sales. Arashi · JUN STYLE (October 5, 2002 - Sep. 24, 2011, FM NAC Five) - Mini show in "EXCITING SATURDAY"
Matsumoto Jun knows it is his job to look good at all times and he takes it seriously. He is known for his style as well as his looks and quirky charm. While I did not immediately love the first character I saw him play, through various talk shows and game shows I have become endeared to his idol persona. That is what propelled me to watch most of his works and follow his acting career. Thanks for reading! Share your thoughts in the comment section below!